Super Bowl 51 is right around the corner and millions will be watching the New England Patriots and Atlanta Falcons play for the championship from their homes. However, if you’re lucky enough to be around one of the world’s largest sporting events in Houston on Feb. 5, 2017, you might see a lot of wealthy individuals and celebrities. That being said, Houston could be the NFL’s best Super Bowl host city to date. 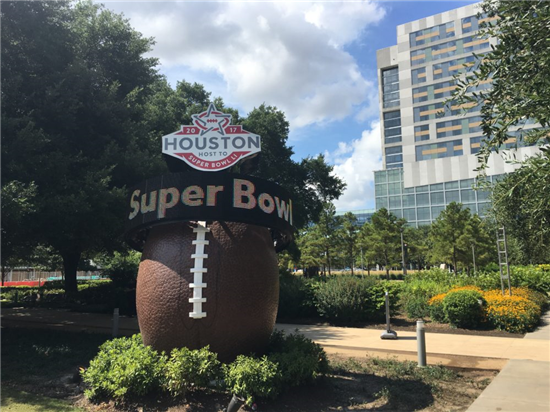 Like any city hosting a large sporting event, Houston revitalized many of its areas as the city is trying to accommodate more than one million expected tourists, as well as wealthy individuals and celebrities who tend to stay at exclusive and luxury areas. With that in mind, Houston already has a growing luxury housing market, and the Super Bowl has driven many changes to the area. For example, the George R. Brown Convention Center underwent a large renovation project, worth around $175 million. The demand for luxury rentals has been consistently growing in the Houston area, and developers are looking to build more luxury units catering to wealthy individuals and celebrities. This exclusive luxury property for the Super Bowl in the Memorial Area, 15 minutes from NRG Stadium. It is currently leased for $35,000 per day with a week stay minimum. Source: Nan & Company Properties. However, the $35,000 price tag for the exclusive luxury rental shown above is a tough pill to swallow for many. If you’re looking for luxury rentals, you shouldn’t be too worried since there are some places in Houston that don’t have this price tag. According to Almodovar, luxury apartments can go for $1,000 to $8,000 dollars a month, and condos can range from $8,000 to $11,000.